Parking boots, wheel clamps, Denver boots, whatever name you know them by, these yellow menaces have been the scourge of drivers for decades. But a new device could see their use finally come to an end. 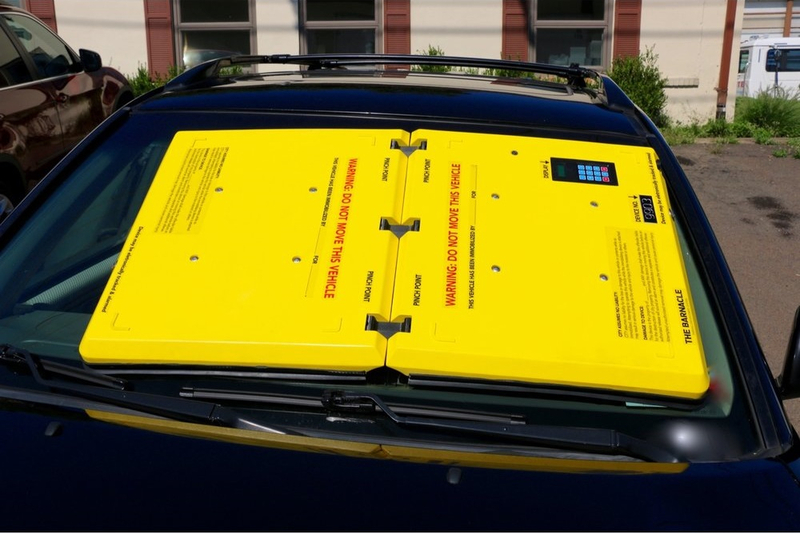 Like the boot, the Barnacle is big, yellow, and immobilizes a car, but rather than attaching to a wheel to stop it from moving, the 20-pound foldable screen can be stuck to a vehicle’s windshield using two massive, commercial grade suction cups that provide 750 pounds of force. It only takes a few pumps for the parking officer to stick the Barnacle in place. And while some desperate people may try to (dangerously) drive a car with a massive piece of plastic over the windshield – possibly by putting their head out of the window – the built-in alarm that sounds when it detects movement should put them off. Probably the best element of the Barnacle is that, unlike the traditional boot, drivers don’t have to wait around for someone to show up and remove it. Just call the number on the device, pay the fine over the phone, and you’ll be given a code that unlocks it. You’ll then have 24 hours to return the Barnacle to a drop-off point – be thankful that it folds up. The company has said, however, it’s working with ride-hailing services that can pick up the Barnacle within 10 minutes of one being unlocked. Nobody likes finding out their vehicle has been subject to parking enforcement rules, but at least with the Barnacle, the whole process can be made a lot quicker and easier.